WHERE THE WILD FLOWERS ARE. It was good to read that some of our girls had seen for themselves the glory of the southern wattle. It lingers in luxuriant blazes of beauty right on to October. But near home there are roads unknown to many which bring the traveller right into a fairyland of splendour. They win fresh devotees year by year. Motor car, side car, sulky, and pedestrian return from their week-end tours laden with treasure-trove. The hillsides that lie between the North Shore line and the ocean are a wonderful land of delight, with forest stretches of exquisite beauty. They vary, too, in their splendour - there is no sameness in the bunches of blossom which week by week you can gather. The paths round the soldiers' settlement are no longer terra incognita. The little homes dotting the hillside on the Middle Harbour slope are a distinctive feature of the landscape; so, too, is the new school for soldiers' children. The road that turns off at the little post-office of French's Forest towards Pittwater is not so well known. Last week its main glory was its wealth of pale pink boronia. The road dips up hill and down dale, over a glorious stretch of country-side, skirting an orchard of pale-pink blossom and coming to a vision of ocean-blue on the hilltop. All the September flowers are there in abundance. This week the native roses are full of soft colour and beauty. 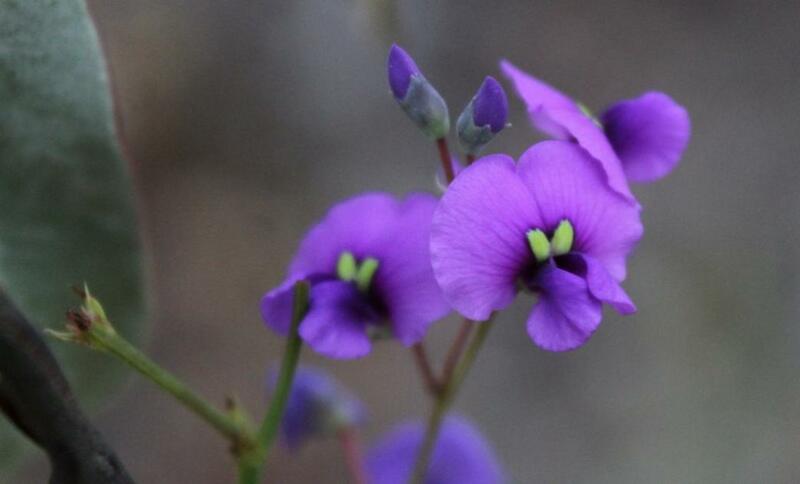 To appreciate this dainty flower as it deserves, you must find it in its sandy home, close to a sheltering boulder. By the time it reaches your drawing-room it has lost much of its spiritual delicacy. One day was a grey day, with soft rain in the forest so gentle as to be just a mist. It kept the blossoms fragrant. The treasure-trove of today was thewaratah. I did not find any; it took patient searching, except for those who had been out on the roadside very early. But there were some glorious bunches of this regal flower among the trophies of the victors. 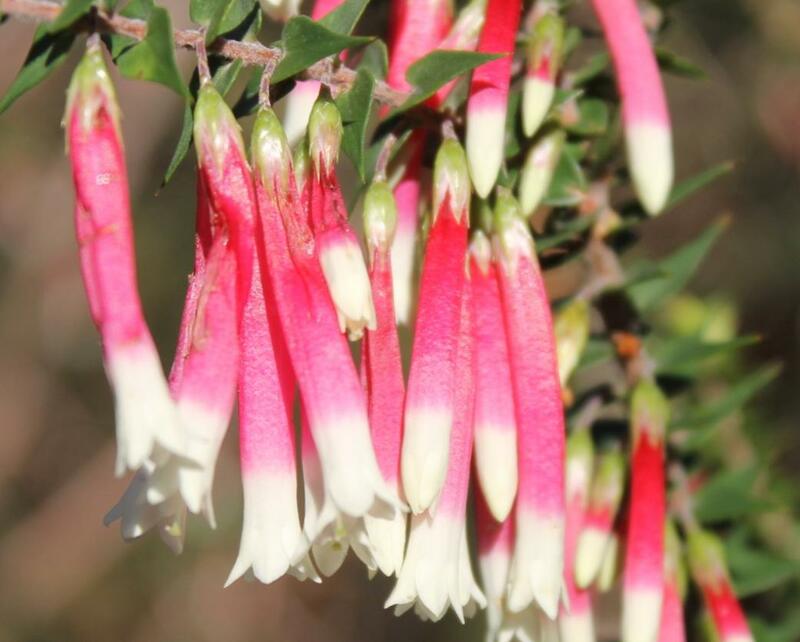 On the Gordon-Narrabeen road there was a wealth of boronias, quite a distinct variety from that which I had observed last week, but in abundant clusters and a colour that ranged from palest mauve to coral-pink and heliotrope. 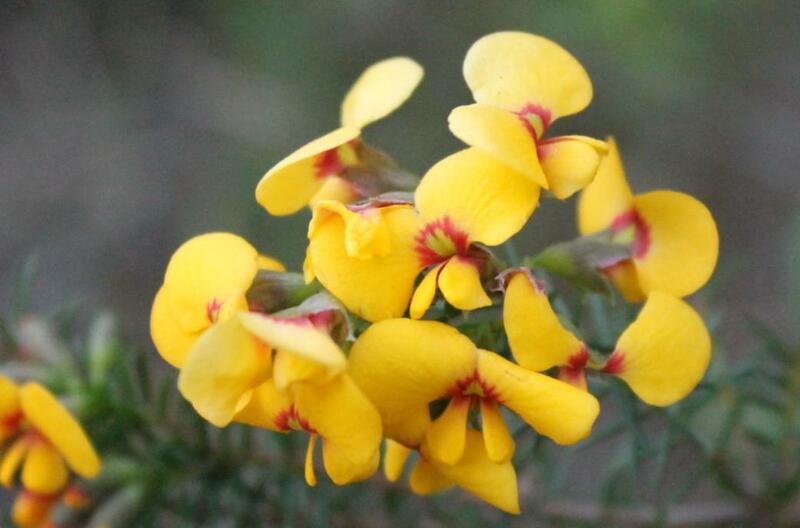 Then, in among the boronia clustered pink and white epacris, mingled with yellow bossiaea and thick bushes of dilwynnia. In and around the gums the patches of upspringing Christmas bush promised December blossoms, while white tea tree and purple hardenbergia, lingering here and there, gave new colour gleams. By the roadside clustered pale mauve orchid to the delight of the children who have not yet learnt their fast-fading glory. On the crest of the hills, far from sound and restlessness, in soft cool air and gentle mist, you imagine yourself miles away on the "Western mountain road. A stretch of yellow sand, a long grey line, and a dip of the soft hills towards Narrabeen lagoon show how near lies the ocean. 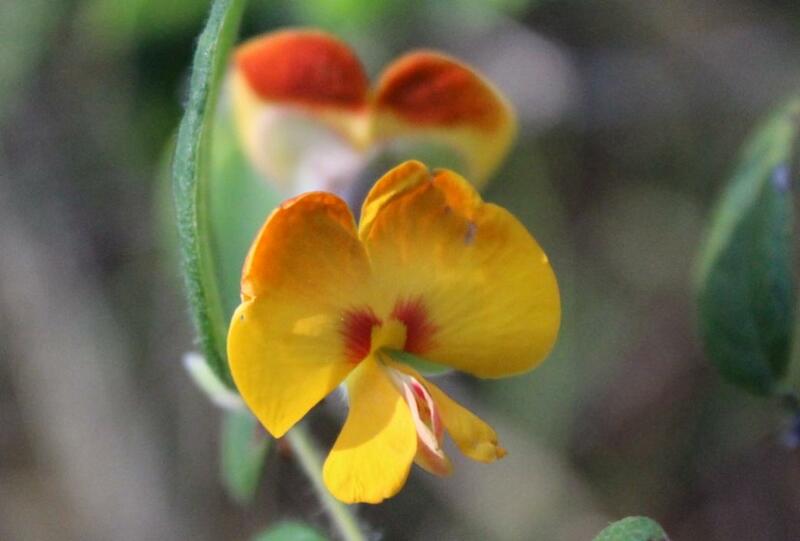 Dillwynia floribunda - The original specimen was collected in Sydney, and first published in 1805 by English botanist, James Edward Smith. Down the slopes of a gully, past cliffs and boulders, to the patches of bracken-covered land - a garden blossoming with sweet pea, week-end cottages, cabbage-tree palms, and the still grey lagoon. Night is very near. The black swans are hovering over its surface. Arms laden with forest flowers are weary. But the peace of nature that lingers in forest groves has reached out with a touch divine and healing. We have wandered just once again in company through her fairy-land. 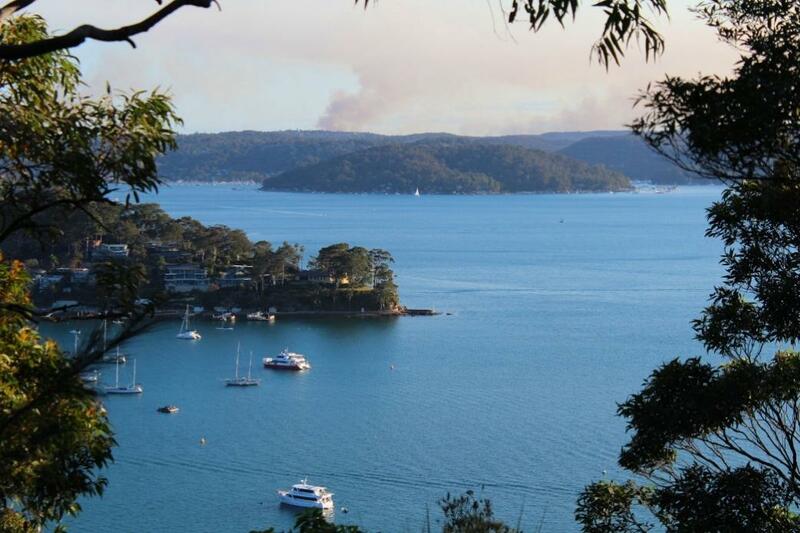 The wonderful wild flower country which Is within easy roach of the city of Sydney, and especially north and south in the region of the coast, is being slowly but surely devastated. 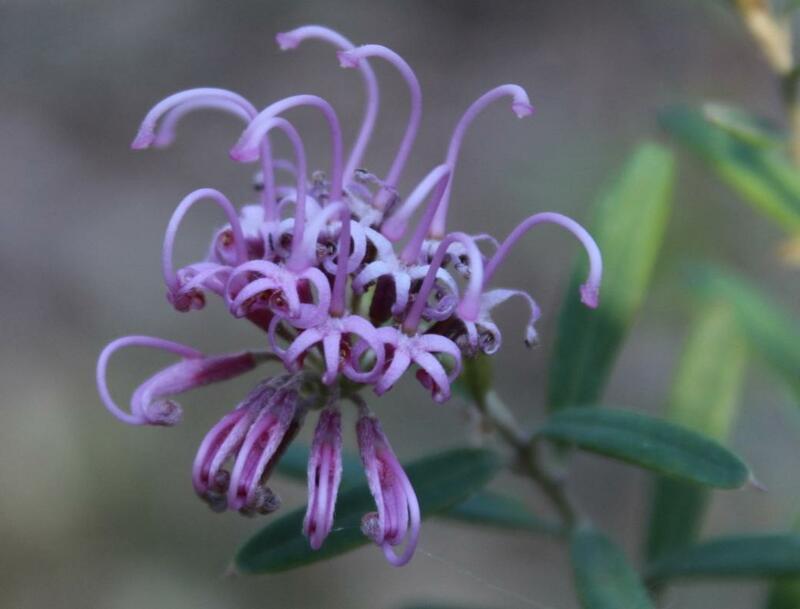 At the present rate of destruction thousands of acres of land, which, in point of richness and variety of flora, constitutes one of the greatest of the landscape glories of Australia, will be entirely denuded of its Interest and beauty. The multitudes of picnickers and week-enders go further and further afield with the extension of the tramways and other means of travel, and they mutilate and destroy on a wholesale scale. 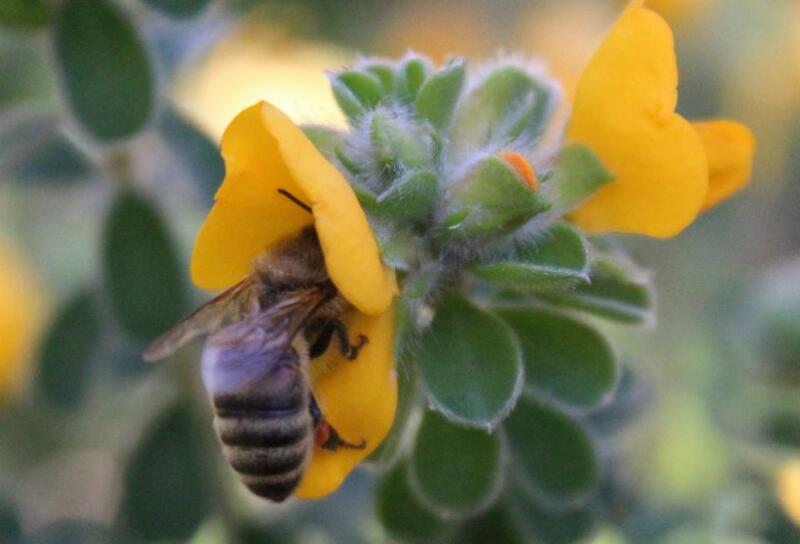 There is no reason why people should not have wild flowers; but there is every reason why they should be prevented from gathering them in a manner which means widespread extirpation. Beyond Manly-indeed, all over that lovely region embracing Barranjoey, Palm Beach, Píttwater, Kur-ring-gai Chase-wild flowers grow in abundance and in great variety. 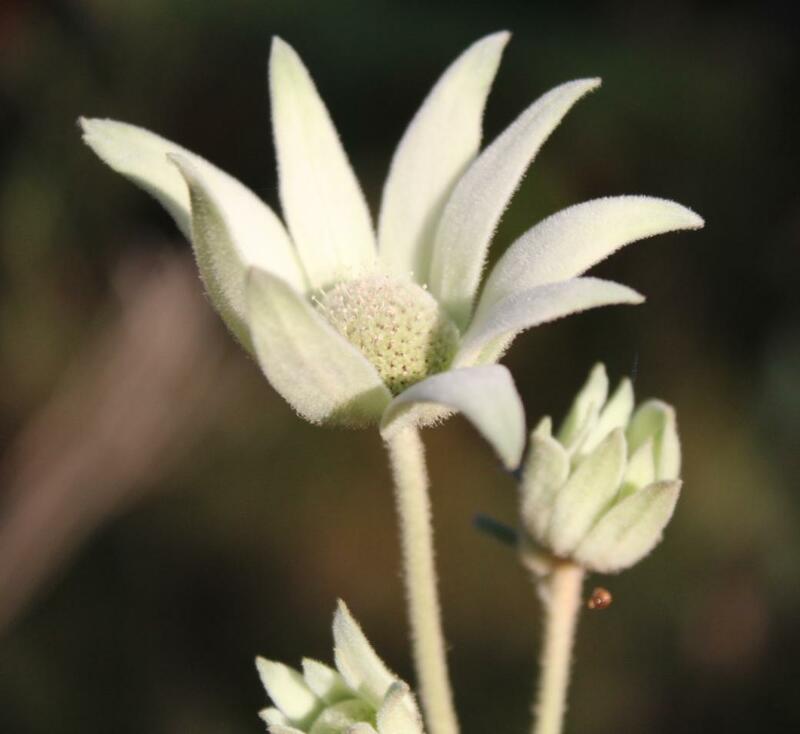 Waratahs, flannel flowers, Christmas bells, and scores of other blooms flourish through many months of the year, but everywhere they are being gradually reduced, if not wholly destroyed. About Dee Why, Narrabeen, Brookvale, French’s Forest, and thereabouts, as well as on the South Coast, the same process of devastation goes on year after year with cumulative effect, and no attempt appears to have been made to restrain though desolating hands of the raiders. If only people picked flowers for the love of them, or confined themselves to taking reasonable quantities, there would be no objection to them taking-toll of the riot of floral beauty so generously provided by nature. The majority of people waste and destroy far more flowers than they use. A common practice is to tear whole plants up by the root. If they would only cut or break off the stalks and leave the root in the ground the plants would continue to grow and to bear blooms. As it is they are killed outright. 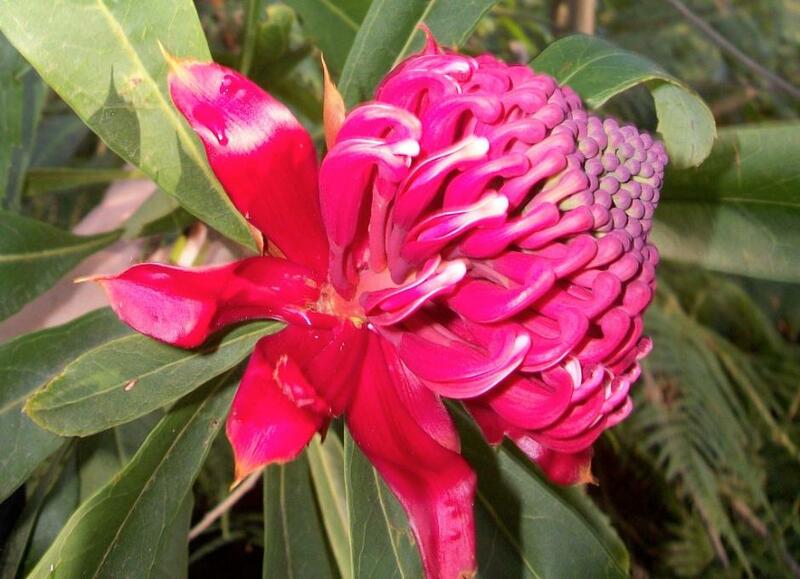 Australia's national flower, the gorgeous Waratah is not torn up by the root, simply because nature has given it a means of protection against that sort of ruthlessness. But the bushes are seriously mutilated. About Palm Beach one sees many waratahs which bear no flowers, and probably will never do so again. Apparently this sterility is due to the violent treatment they have received by thoughtless or wanton visitors. People cross over to Kur-ring-gai Chase and come back with as many waratahs as they can carry. Hundreds of these blooms are wasted. People greedily possess themselves of far more than they have any use for, and, becoming tired of their loads, leave them lying on the ground. Following in the wake of a holiday crowd one sees torn and mangled plants and blooms of every description. People who behave in this way cannot really claim to be considered lovers of either nature or of beauty in any form. Numbers of them pick lovely flowers only to throw them away, in much the same spirit which animates a young child having no knowledge of right or wrong. For the most part private lands and public reserves are raided without discrimination or respect for the rights of the individual or the community. The wild flowers of the coastal districts about Sydney are an everlasting source of charm and delight to tens of thousands of people. They are also a source of health and physical pleasure, since they servo the useful purpose of attracting denizens of the metropolis into the bush to spend their holidays and their week-ends. 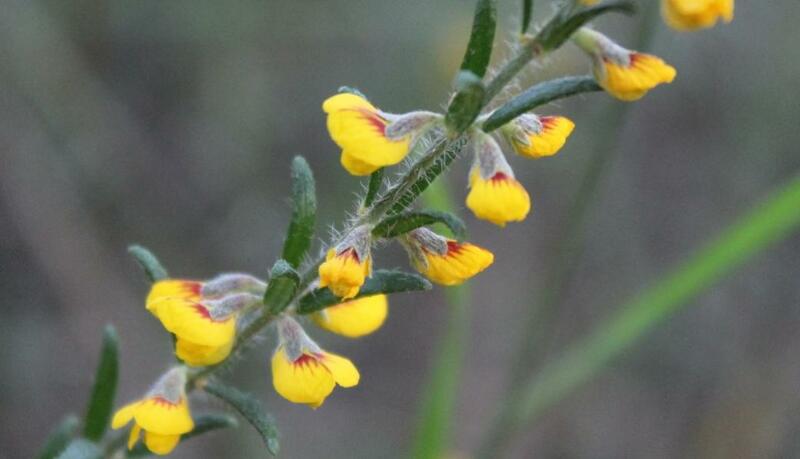 Thus wild flowers minister to the material as well as the romantic needs of the people, and as the collective property of the community they should be afforded some measure of protection. photos by A J Guesdon.